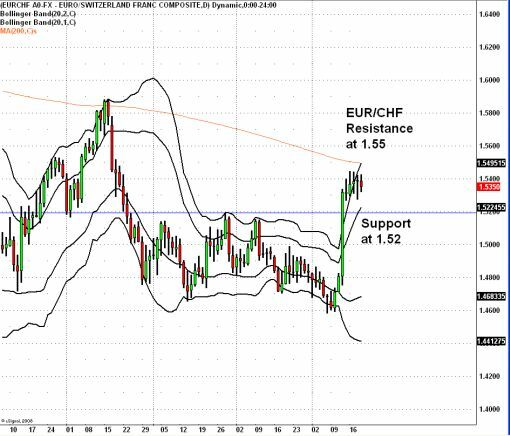 EUR/CHF Floor – Negative Interest Rates in Switzerland? Last week’s intervention efforts have put a floor under EUR/CHF. The possibility of more gains was cemented by comments from SNB Member Jordan today who said that Switzerland could offer negative rates on deposits. Many people may be scratching their heads wondering if the Swiss could actually follow through with its threat but they have! In the 1970s, Switzerland offered negative interest to discourage foreigners from holding Swiss Francs. Back then, everyone was worried about the value of currencies and were looking for a safe haven and the Swiss Franc was it for many investors. Demand for Francs at that time was so strong that foreign investors had to pay a premium for the privilege of holding it. 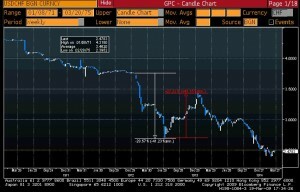 Before the SNB implemented negative interest rates, USD/CHF fell 28 percent. In 1972, the SNB restricted bank lending and demanded negative interests of up to 10% per quarter (40% p.a.) on the growth of foreign deposits in Swiss Francs with domestic banks. 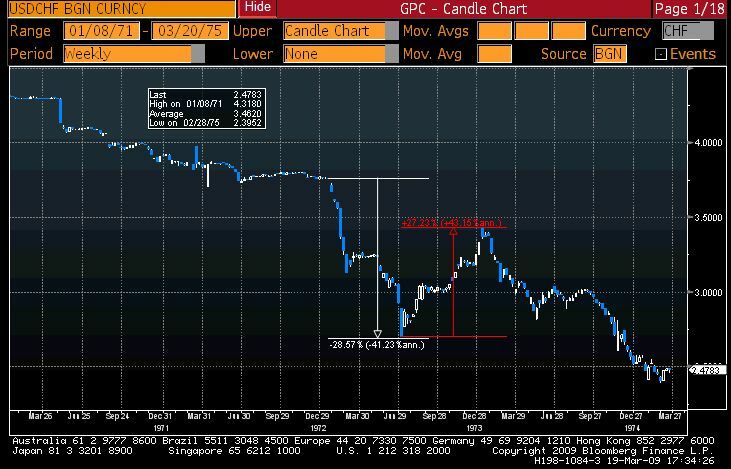 This led to a 27 percent rally in USD/CHF over the next 6 few months (shown in chart below). The Swiss franc eventually resumed its rally, but not before significant weakness. SNB member Jordan’s comment that the central bank will not tolerate further franc appreciation indicates that they are serious about preventing further weakness in EUR/CHF. Should the Swiss National Bank seriously follow through with negative interest rates, it will translate into more gains for EUR/CHF.